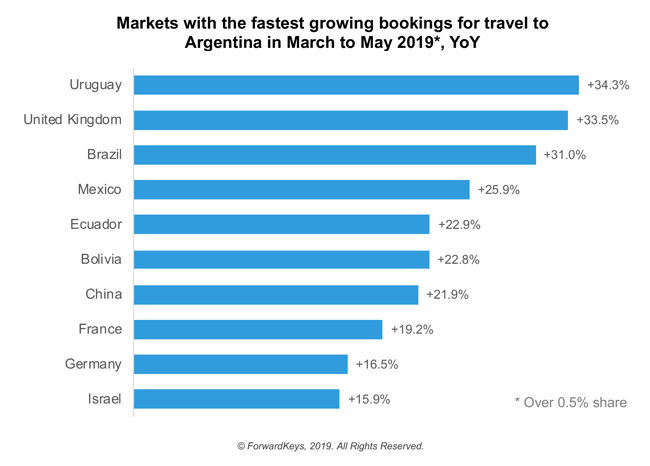 International travellers are flocking to Argentina, taking advantage of the poorly performing peso to boost the value of their holiday spending money, according to latest findings from ForwardKeys, which predicts future travel patterns by analysing 17 million flight booking transactions a day. Europe and Latin America are the fastest-growing markets for travel to Argentina. 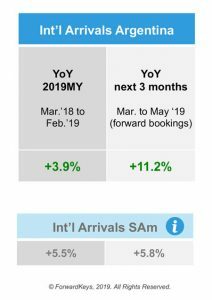 There is also an increasing number of travellers from China (+21.9%) and Israel (+15.9%), among the top ten countries by growth.